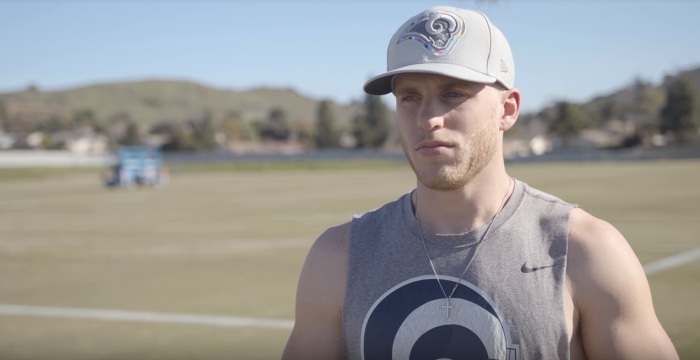 Cooper Kupp, wide receiver for the Los Angeles Rams, comes from a family in which football and faith are major features. “Our relationship with Jesus is the center of our life,” said Cooper’s father Craig, himself a former NFL player with the Arizona Cardinals and the Dallas Cowboys, in an interview with the Yakima Herald in 2016. “That is where my fuel comes from. Everything I do is to glorify God and I’m playing for nothing but Him. When I step on the field I can feel His pleasure,” said Cooper.